Talk less, and do more. We know it's a long march to make manufacturer.lighting an industry resource that really makes sense. All we have been done is to lay a solid foundation. We not only keep improving the website infrastructure with all the essential components necessary to elevate user experience and strengthen online existence, but also build high qulity content - a rather daunting task that exhausts most of our time. In past 12 months we handpicked 300+ manufacturers and revamped their company profiles with high copywriting standards in mind. Chinese manufacturers are utilitarians that invest virtually all their time and money in product development and manufacturing. They seldom take online marketing and branding seriously. Hence it's not surprising that many export trade portals are occupied by middleman businesses (trading companies). These manufacturers even do not care to write a decent company introduction in Chinese. We wrote the company introductions from scratch and did a lot of business intelligence analysis to uncover the excellence in them. There is value in every manufacturer. Our value is to find and distribute it online. We've also been busy adding products to our database. Instead of simply copying and pasting dull, simple, stereotyped and unprofessional content from manufacturer's websites, we dig deep and do a very thorough research before copywirting. Every piece of product description is handcrafted with hours and even days of technical research and content optimization. We did not make a penny from this service but we're happy to take on this job. As we mentioned above this is where our value exists and what differentiate us from other B2B marketplaces. In the next stage we will continue to take this as our priority and create more high quality product listings that convert to inquiries and deliver brand value. In addition to optimizing the website structure for on-page SEO, we launched our mobile friendly website to embrace the mobile web. We take pride in the design with great visual aesthetics that help enhance member's corporate images and touch off interest in products. The mobile usability facilitates user engagement and improves the rate of conversion. As with the PC version, the mobile website has structured data markup that makes it eligible for special Google features. The embedded social media meta tags and buttons make the most out of the high quality content with word-of-mouth social sharing. As an internet B2B startup that devotes itself to long term, sustainable growth we do have financial stress. But we did not and will never balance our investment and generate revenue by making hypes. 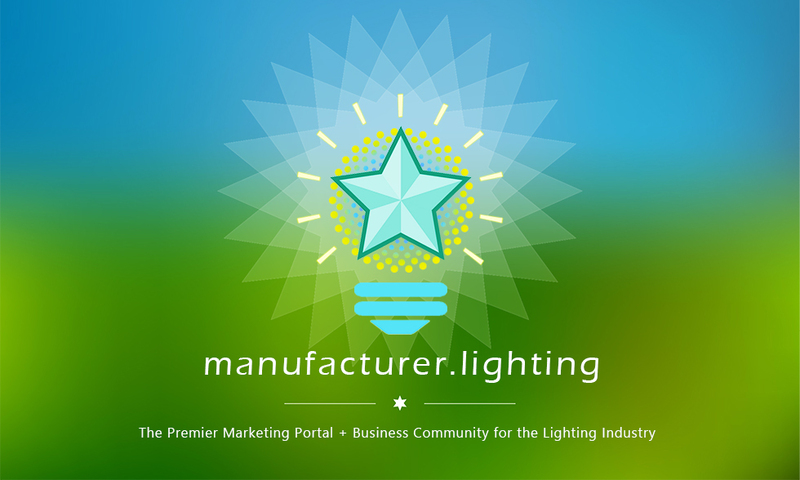 We're glad to see the increasing amount of high quality buyer leads and business inquiries generated in manufacturer.lighting in just one and a half years. Although it's still far from our expectation, we are on the right track because our hard work is gradually paying off. Attitude is everything. "Keep going. Nothing in this world can take the place of persistence. Tough situations build strong people in the end." ― Roy T. Bennett. & Calvin Coolidge.